Remember last February, when Jay Leno made his first post-Tonight Show appearance to tell his friend Arsenio Hall that his show had been renewed for a second season? Well, CBS Television Distribution has changed their mind. They’ve cancelled The Arsenio Hall Show after one season. The series had a very positive launch last year but the ratings started falling quickly and they never recovered. The studio tried replacing the executive producer and inviting some big guests but it just wasn’t enough. What do you think? Did you like watching Hall’s new show? Are you upset that it’s been cancelled? 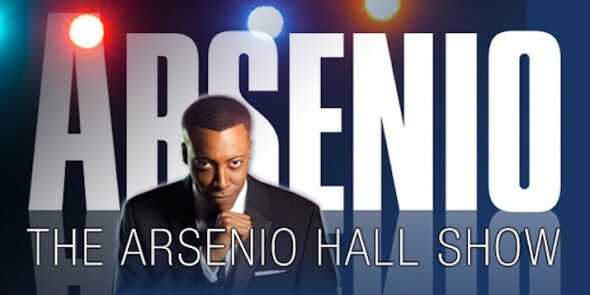 More about: The Arsenio Hall Show (2013), The Arsenio Hall Show (2013): canceled or renewed? I am saddened by Arsenio being cancelled! I really enjoyed his guests, his monologue. Pls bring it back. Think it’s terrible!!!!! The show was so much better than a lot of thrashy shows!!! I cannot believe it!!! Arsenio Hall show cancelled again!!! Other shows that are not great get two and three seasons, this was just warming up to get better. I am upset. Arsenio and staff did a wonderful job, made us laugh with the comedic acts and brought us great talent, I for one I am sorry to see it go. When Arsenio showed that he was racist over the Trevon Martin case, that was the end for me. Never watched his show again.